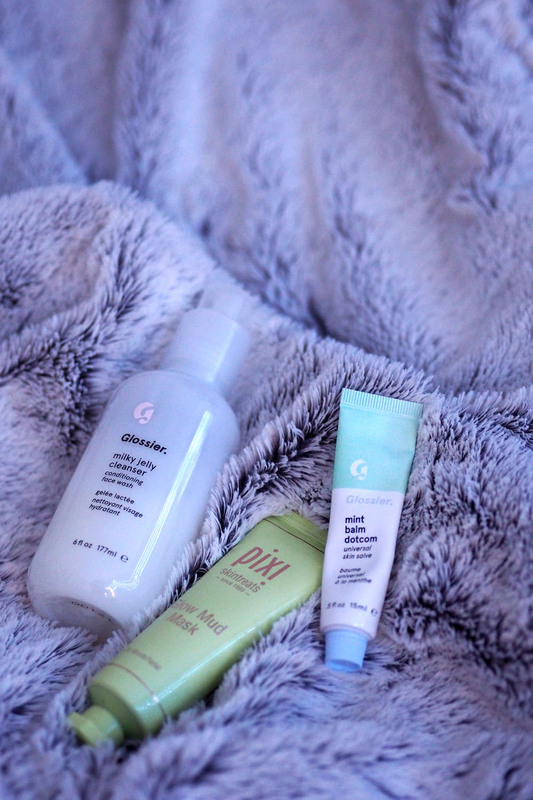 It's lovely to have a hydrating cleanser for winter, and I'm loving using the Glossier Milky Jelly Cleanser. My normal winter favourite is the Oskia Renaissance Cleansing Gel which I will say feels more luxurious, but this Glossier offering still does the same trick. It removes the last of the grime on your face (although won't do much for makeup) while not making your skin feel stripped - in fact, it makes my skin lovely and glowing afterwards. I'll always love the Oskia but I'll definitely be saving that purchase for a treat, as the Milky Jelly Cleanser is a fraction of the price and so so nice. We all know a lip balm is the biggest saviour in winter, and my current go-to is another Glossier pick, the Balm Dotcom in Mint. I'm normally a Lanolips gal and this one is quite similar, but I love that it's more of a matte finish. It isn't my favourite for under lipstick as I find it doesn't let colour stick, but it's great on its own and works over lip colour if that's your thing. I haven't tried the other flavours but I do have to say, the mint is particularly gorgeous and undoubtedly the most Christmassy! 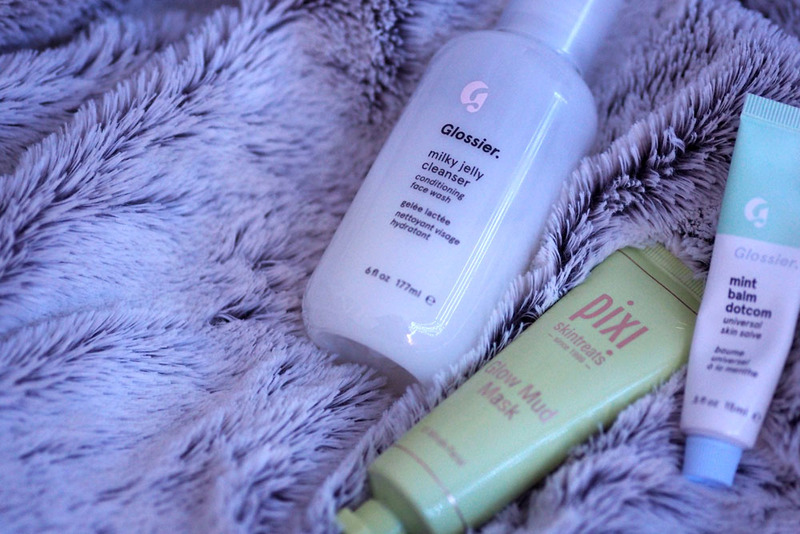 And finally, another favourite is the Pixi Glow Mud Mask. I've preached about Pixi for years - I use Glow Tonic every day - but this is a relatively new purchase in the 'Glow' family for me. My skin gets pretty battered by the weather and the onslaught of pigs in blankets and Terry's Chocolate Oranges over winter, so I need something that will deep cleanse, while not drying me out. And this mask is the one. You will look like the blue moon emoji while wearing it, but I've never had a mask make me look so glowing and healthy afterwards - and that's including hydrating ones! If you'd like 10% off your Glossier order then use this link!